Disclaimer: I am not going to remove the saga of this wonderful chicken dish. 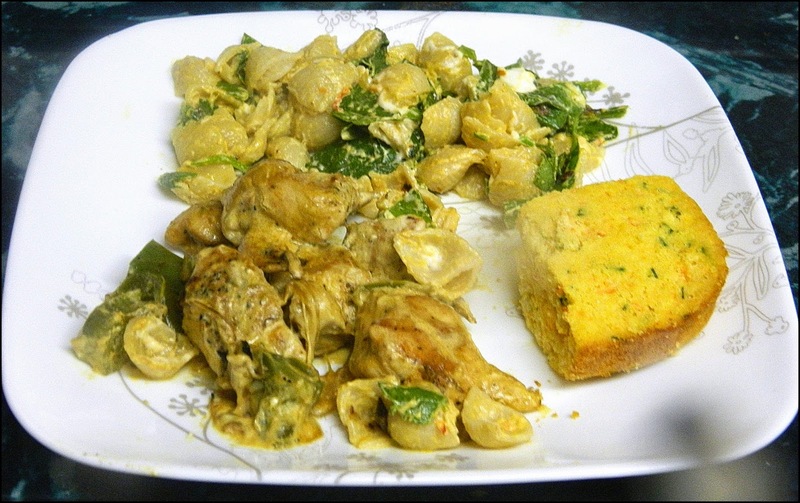 My terrific hubby found a way to rescue my photos and here it is, my Chicken Paprikash. Under the line, you will find past history and a frustrating evening. Yummy. Thanks to Kayte who selected this chicken dish. I am not fussy about chicken dishes. I usually like them but this time, we both loved this particular recipe. Again, it was not a difficult recipe to make and the results for us were cheers all around. The dish is called Chicken Paprikash and I HAD some nice pictures of it until tonight. My card filled up so I went to the computer to delete some of the older blurry photos that were taking up space. When I tried to see the photos, nothing appeared. It turned out, there is a computer problem. Hubby plugged it in somewhere else and I was ready to go until I tried to transfer the good photos and Picassa wasn't working. At this point, I either dissolve in tears, (not my style) or bite the bullet and say how much I loved this chicken. We cleaned our plates and wished I had made more. I am hoping, our other ladies had more success with their photos and you can find out by checking Eating With Ellie and if you want to make this dish and share it with us, please leave your information. We welcome anyone who would like to make one dish or many dishes. And now, I can throw my camera across the room and stamp my feet or call it a day and get a night's sleep. Sleep definitely wins. Chaya, I hear ya on the technology issues - we've all been there. Yay to your hubby for saving the day. I agree that this dish was wonderful. I wish my glitches were limited to photo-failures! LOL! I completely understand your frustration and method for coping. Thank you, Chaya's Hubby, for salvaging a picture for us to drool over! I've got to pick up a couple ingredients and I'm good to go! Your Chicken Paprikash looks delicious. Thanks so much for sharing this awesome recipe with Full Plate Thursday. Hope you have a great weekend and come back soon! Yours looks so creamy. MIne was rather thin. Not a keeper, but glad I tried it. BTW I have been there with the pics. I have lost them and it is so frustrating.